Checklists are single-use instances of templates. If you have a template for employee onboarding, you’d run a checklist for each employee, work through the process and then run another checklist for the next employee. Running a checklist creates a unique version with its own title that you can assign to your team. 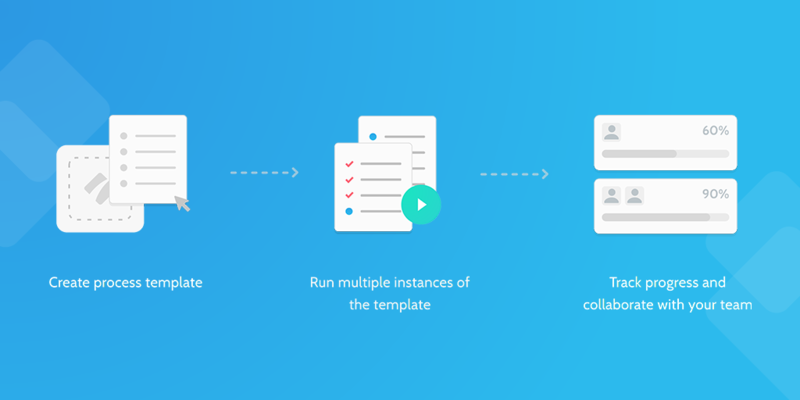 To run a checklist from your dashboard, first find the template you want to run a checklist of. Next, click the cog next to the template’s name in your dashboard, and then click the “Run checklist” button at the top of the right-hand menu which appears. Name your checklist and then hit “Run checklist” to start. 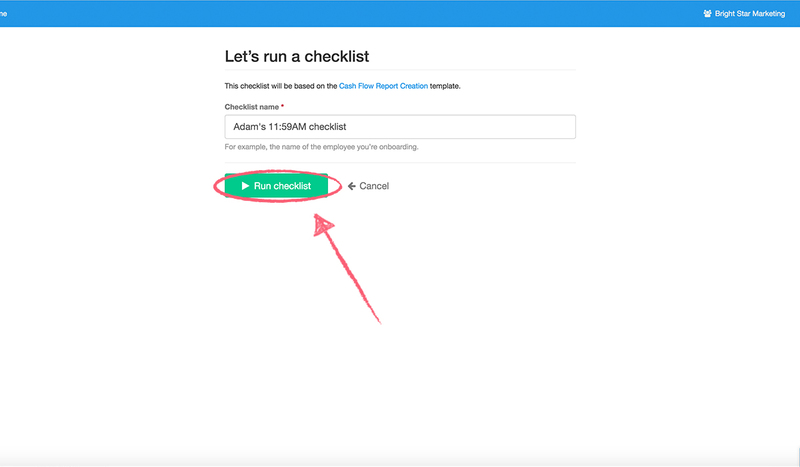 To run a checklist from inside a template, open the template by clicking its name in your dashboard and click the “Run checklist” option in the right-hand menu. 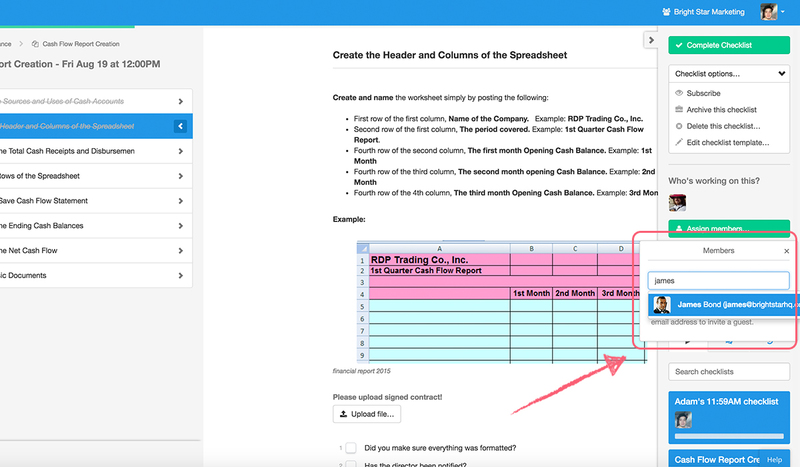 You can set up scheduled checklists to run on daily, weekly, monthly or yearly intervals. 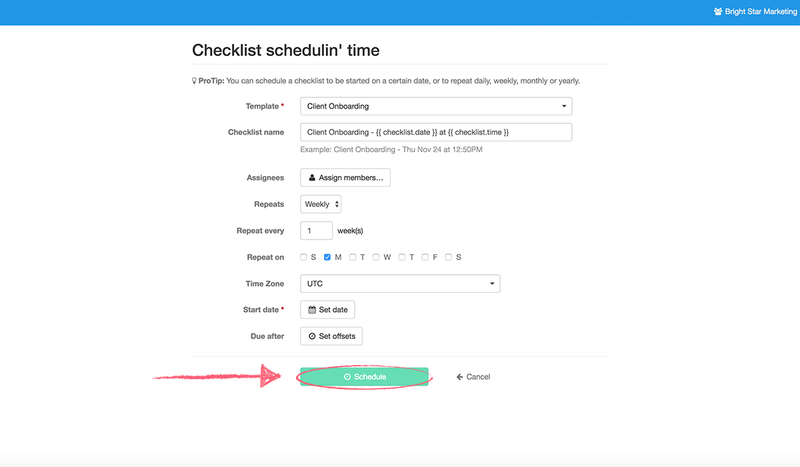 Setting up a scheduled checklist is easy, much like setting up a recurring event in your calendar. Check out the article on scheduled checklists to learn more. You can also integrate Process Street with over 750 other apps by using Zapier, letting you automatically run new checklists when a set event occurs. 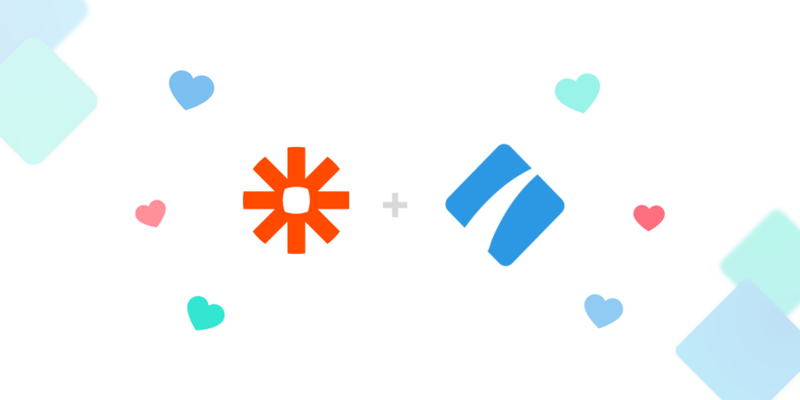 To learn more, check out our article on Zapier, or our free business process automation ebook. Alternatively you can create a checklist run link. This is a link which, when clicked, creates a new checklist for a specific template. This link can be used anywhere, whether it’s inside another template, in your email signature, on your blog, or somewhere else entirely. 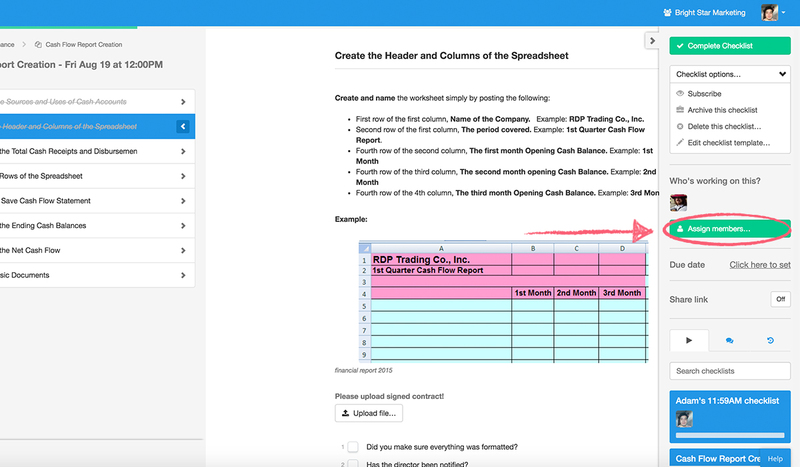 The person clicking the link doesn’t even need a Process Street account to use this link – the only difference is that their activity will be recorded as an anonymous user. To learn more, check out our article on checklist run links. You can assign users to a checklist to give them access, track their progress, and ensure that they work on what needs to get done. To assign a user, first open the checklist. You can do this by clicking the cog next to a template’s name in your dashboard, then choosing from the cards at the bottom of the right-hand menu. … Then search the name or email address of the person you want to assign and click on their entry. You can also add a user to your organization as a guest and assign them straight away by typing their full email address. Archived and completed checklists both count as being “Inactive”, and so do not count towards the checklist limit on our free plan. If you have hit the checklist limit on our free plan and need to create another one, you’ll need to change one of your “Active” checklists to be archived or complete. Inactive checklists also cannot be edited in any way unless made active again. 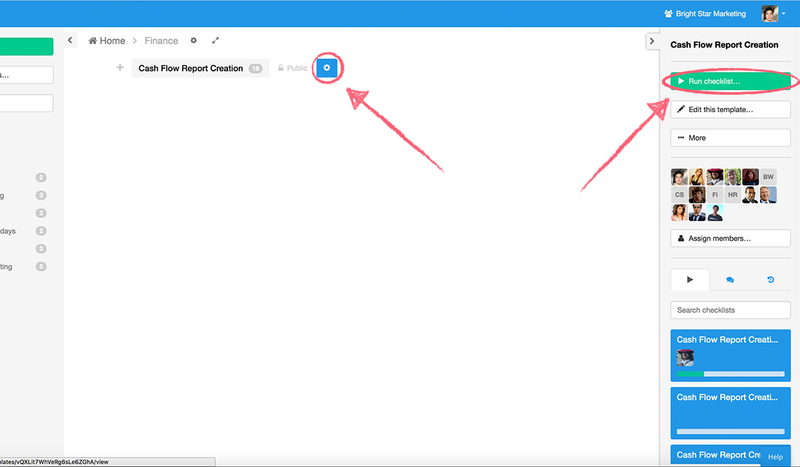 You can easily see the state of your checklist by using the template overview feature, as shown below. 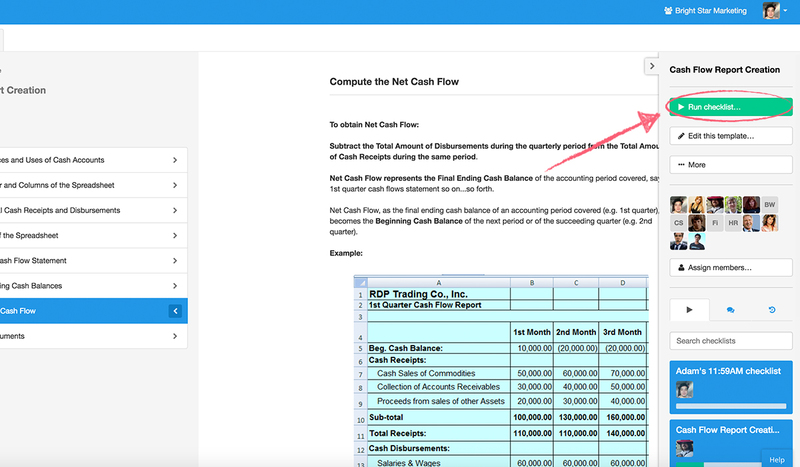 To learn more, check out our help articles on templates and user permissions.